The Stanislaus County Behavioral Health and Recovery Services offers over thirty years of experience in the delivery of community mental health and substance abuse services. Stanislaus Recovery Center fulfills the organization's vision to offer a variety of services at a central location in the county. Services offered at Stanislaus Recovery Center include adult assessments, residential, withdrawal management (social model), intensive outpatient treatment for substance use and co-occurring disorders. SRC is an intricate part of the continuum of care in Stanislaus County's Behavioral Health & Recovery Services. 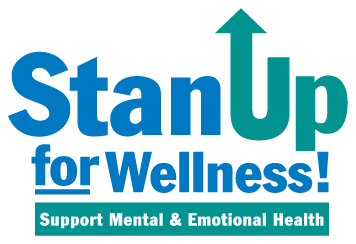 To access other services through Stanislaus Behavioral Health & Recovery Services call toll-free 1-888-376-6246. An outpatient medical model program combining counseling and methadone to treat individuals dependent on opiates. The program includes a 21-day detoxification and maintenance component. Outpatient day treatment programs for pregnant and/or parenting women and their children 0-5 years of age. Services include individual and group counseling; alcohol and drug education; assistance in obtaining perinatal, postpardum and other health care needs; life skills education, therapeutic child care on site; development assessments of children and coordination of mental health treatment for children. Priority for services is given to pregnant injection drug users, pregnant substance users, parenting injection drug users and parenting substance users. Substance use disorder treatment for adolescents and transitional age young adults. Residential treatment is available for youth ages 13-17. Outpatient services are available for youth age 13-17 and for young adults age 18-24. Services include individual and group counseling, alcohol and drug education, life skills education, family involvement, relapse prevention and aftercare support. Medi-Cal accepted for outpatient services only.